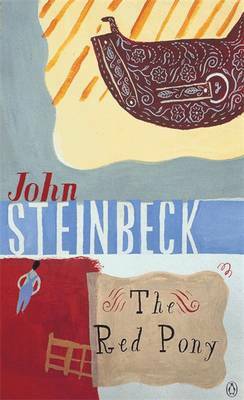 John Steinbeck's masterpiece celebrates the spirit and courage of adolescence. Jody Tiflin has the urge for rebellion, but he also wants to be loved. In THE RED PONY, Jody begins to learn about adulthood - its pain, its responsibilities and its problems - through his acceptance of his father's gifts. First he is given a red pony, and later he is promised the colt of a bay mare. Yet both of these gifts bring him tragedy as well as joy, and Jody is taught not only the harsh lessons of life and death, but made painfully aware of the fallibility of adults.